Root Division invites artists working in all media to submit work for 140 Characters. This group exhibition will explore the ways in which technology has altered modern language and communication. The way we communicate is in transition as evolving technologies change our relationship to language and how we relate to one another. Social media, specifically, presents information that can range from enlightening to infuriating. Individuals can simultaneously choose to interact with a myriad of digital platforms to not only absorb information, but also speak their minds and produce content. These platforms are both limited and unrestricted, leaving room for misunderstanding, misinterpretation and misuse of text. Artists who are working in text-based art, as well as other mediums, are encouraged to submit work exploring communication, consumption of information, impact of screen-culture, and various ways in which technology influences our modes of communication in daily life. or by submitting a $10 check or money order made payable to Root Division, mailed to: Root Division, 1131 Mission St., San Francisco, CA 94103. Please note that the $10 fee must be on file by August 13, 2018 at 11:59 pm for the email submission to be considered. 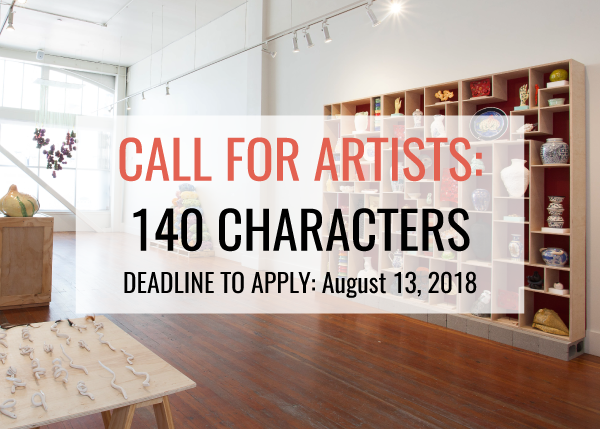 Artists will be notified about inclusion by September 10, 2018.